When you are sick, you are more prone to gain weight, due to the fact that your body is working hard, fighting infection. Fighting infection doesn't leave much energy and your metabolism suffers causing you to gain weight. Extra weight stresses the human body, so it creates a vicious cycle that causes more weight gain. Then obesity causes its own immune related health issues. If your body is constantly trying to break down your food and absorb it properly, it causes strain on it, and immune system in particular, and as a result your immune system becomes is less capable of fighting disease. 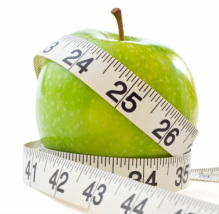 It is imperative to maintain healthy weight for overall health to be in order. Let Dr Bozena Celnik, M. N.D. help you create a customized and personal plan to weight loss with her immune related weight loss program. Dr Bo. is experienced in practicing naturopathic medicine and she is trained in conventional medicine as well, which gives her well-rounded expertise in highly effective weight management.